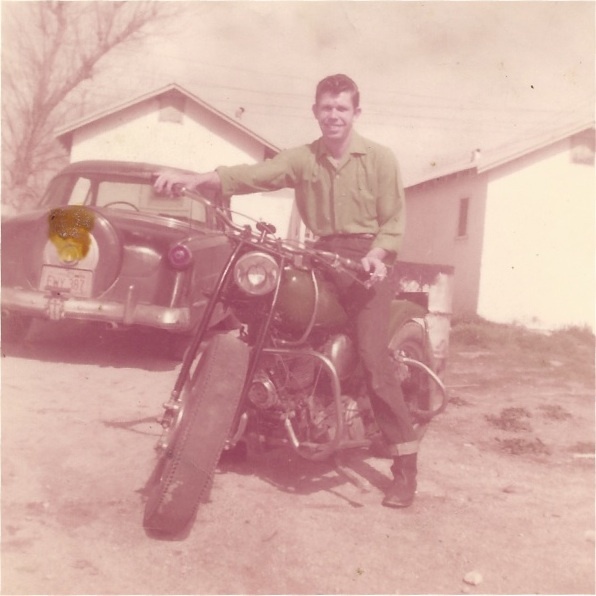 Motorcycle riding has been in our family since the 1940’s. My dad was born in 1930 and his first motorized bike was when he was twelve years old. I call it a motorized bike, because that is exactly what it was. Dad and his cousin slapped a motor on a bicycle. 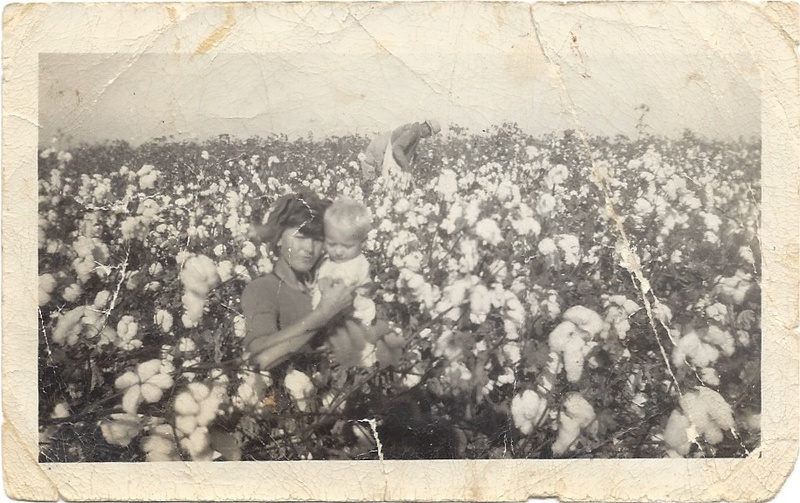 My dad was poorer then dirt, growing up in Central California working in the fields. The fields is where my dad’s side of the family met my mom’s side of the family. 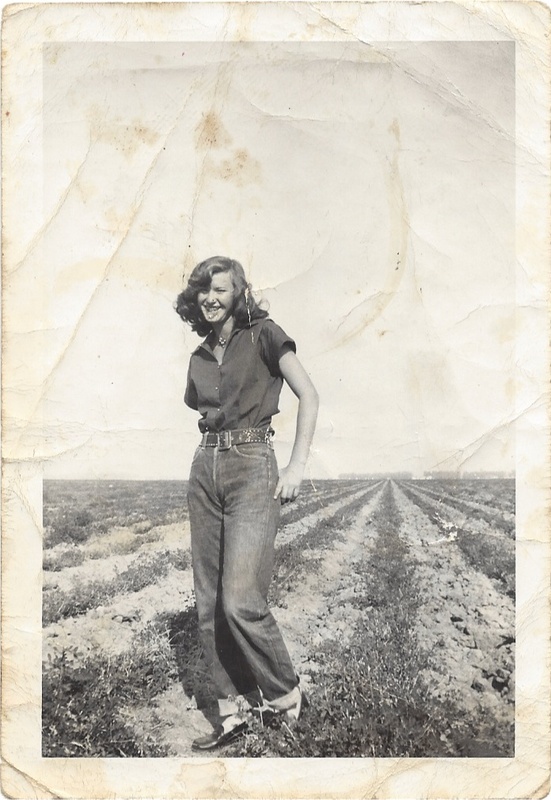 My mom was twelve when her and her family moved to California from Oklahoma to work in the cotton fields. My mom’s dad was the camp boss, back then it was a very important position. Dad used to say mom was just a scrawny little kid when he first met her. Soon after the two families met, dad was eighteen and enlisted in the Navy for six years. About ten months before dad was to get out of the Navy, he was back stateside on leave, he met mom again. Now mom was eighteen and they were head over hills for each other. My dad’s sister, Aunt Jenny played matchmaker and two weeks later they were married. Dad had to head back to San Diego to finish up with the Navy. On weekends dad would hitchhike home to see mom. Nine months later my oldest brother Ricky was born. 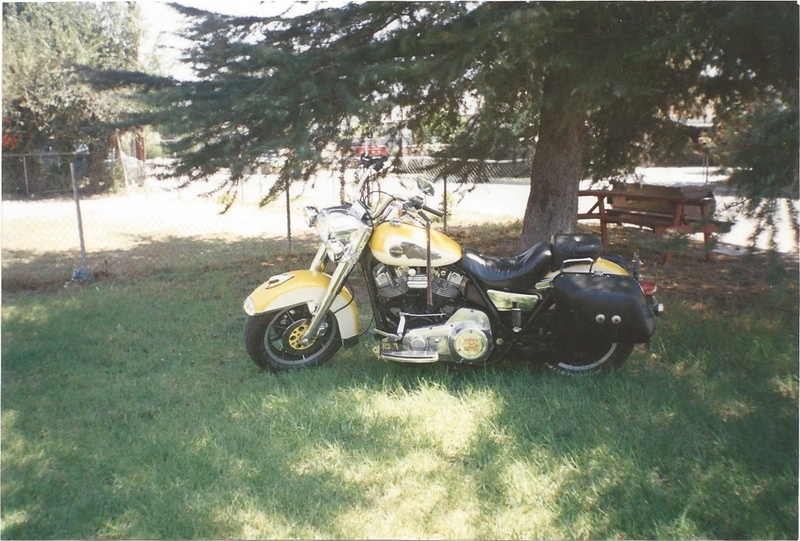 The first real motorcycle my dad had was an Indian, at the time Indian’s were his favorite. He used to rebuild Indian’s as a hobby/necessity in my mom’s kitchen. When my brother was six months old, dad put a pillow on the gas tank and took Ricky for his first ride. Ricky is now fifty-nine years old and is still riding. Thirteen years later I came into the picture, the baby of four. 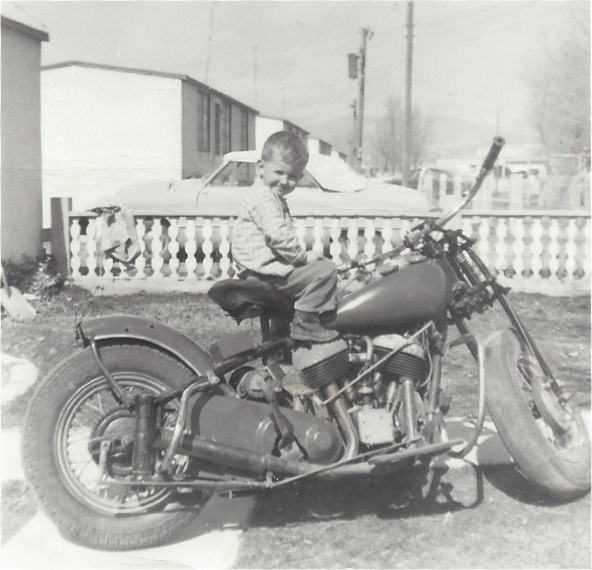 There was a long period of time when dad did’t have a ride, but my brother kept the tradition going. When I was eight years old, dad brought home a little Honda 125. It was “The Family Bike”, but really it was my sister’s and my dad’s bike. I still remember the hissy fit I threw when I didn’t get to ride it. During the sobbing and blubbering my dad said to me I could ride it when I was big enough to touch the ground. By the time I was nine, dad was giving me lesson’s. My sister is six years older then I am and I always have looked up to her, I wanted to ride like she did. Every where she rode the little Honda 125, she rode it like she stole it. By the time I turned twelve, my sister and I wore the Honda out. 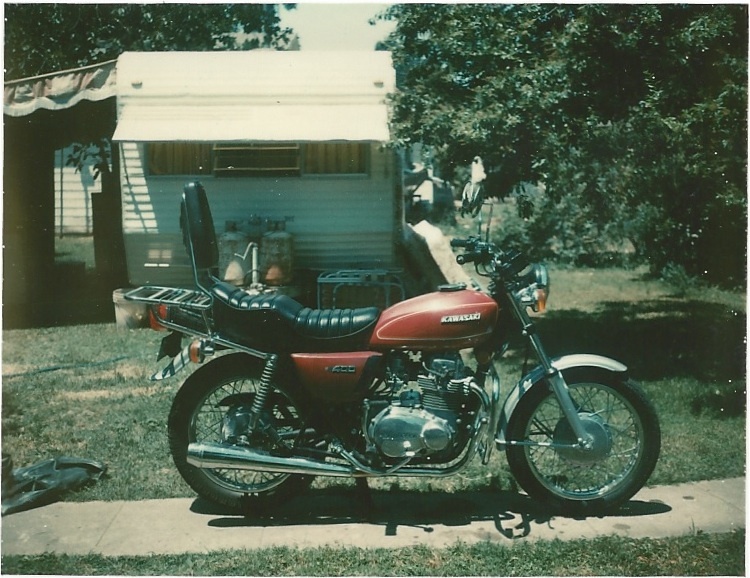 Dad then brought home a Kawasaki 400, I loved this bike. Dad and I would trade off on who was packing who. Dad would get a kick out of seeing the reactions of people, when we would ride up and his skinny twelve year old daughter was packing her dad. In the eighties, dad moved up to a full dresser, I think this was his favorite bike. 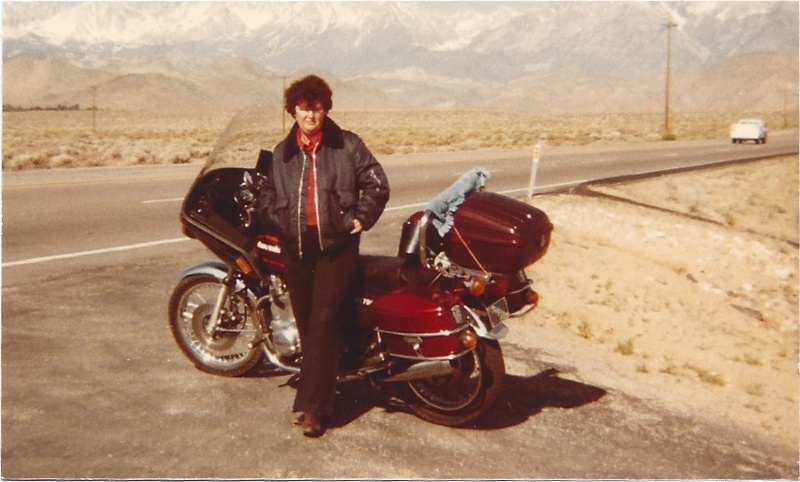 One summer, mom and dad took an extended vacation on the bike, touring seven western states. All the while camping out, mom was a stud. I can ride the hell out of a bike, but at the end of the day, I want a least a no-tell hotel. Mom touring 7 Western states. The four of us kids have grown up riding, and three of us are still actively riding. We are all very lucky to have met and fallen in love with spouses who have also grew up riding. We all love riding together: My brother, “Rick” on his Road King, My sister in law, “Yaya” on her V-star, My sister, “Sheryl” on her Dyna Low, My brother in law, “Ken” on his Heritage, My brother and sister in law, “Kelly” and “Amy” on their Kawasaki, My husband, “Andy” and son “Aj” on his Road Glide and me, “Bell” on my Street Glide. for giving us the love of the open road and the wind in our face. I love our family history!